We pick all 15 parcels by hand. Probably later than elsewhere. Dates for harvesting are fixed by tasting the grapes’ pulp, skins and pips on each individual site so as to check on the tannins’ finesse. 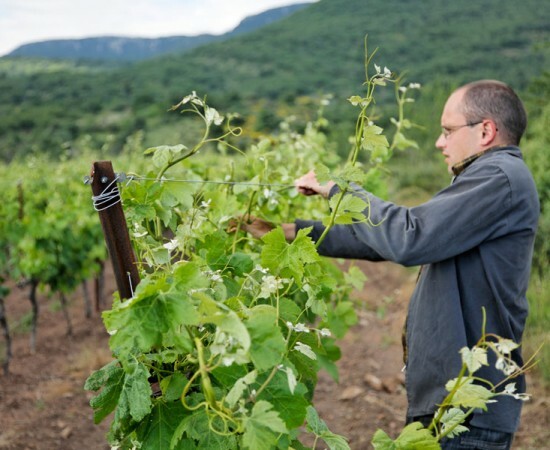 We select vine by vine, picking only when the grapes are ripe and healthy. The harvest lasts over a month. 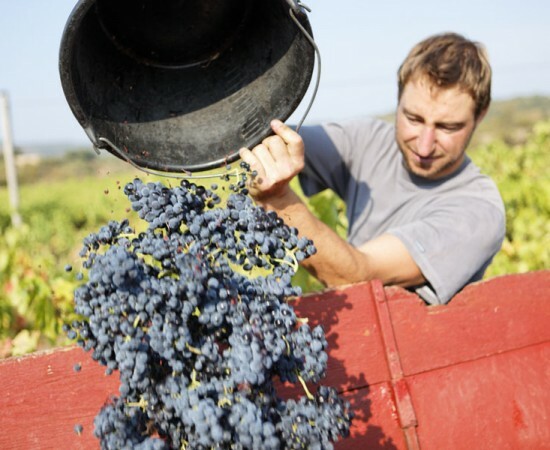 We aim for optimal maturity, ‘al dente ‘ grapes full of fruit yet still fresh. 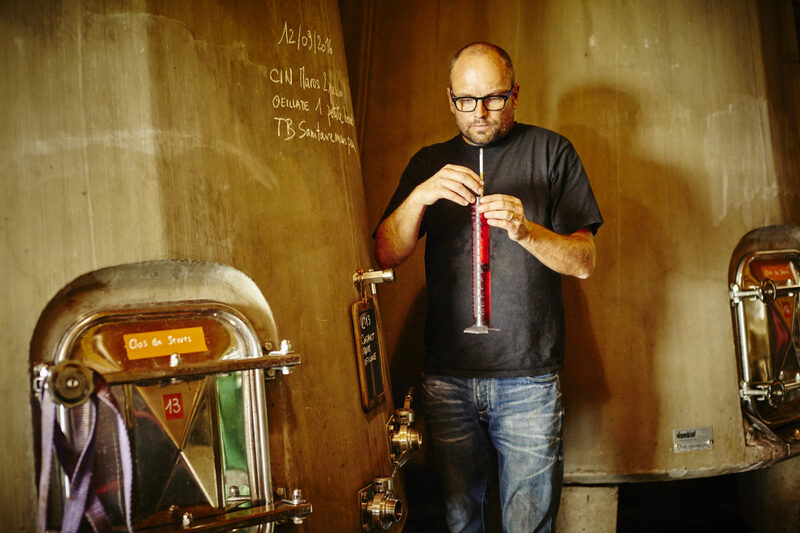 Made to measure vinification choosing between land parcels. Grapes’ characteristics vary depending on the soil the vines grow in and the direction they face. 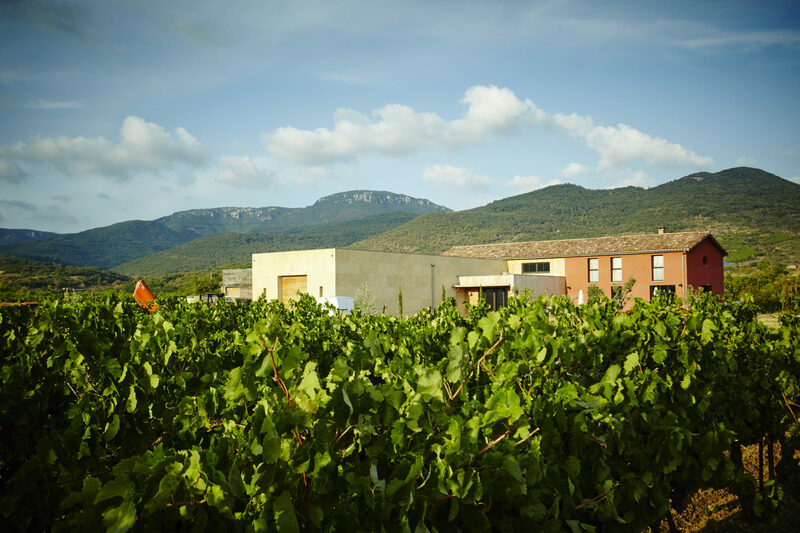 We vinify the 15 land parcels separately so as to capture the terroir’s various nuances. 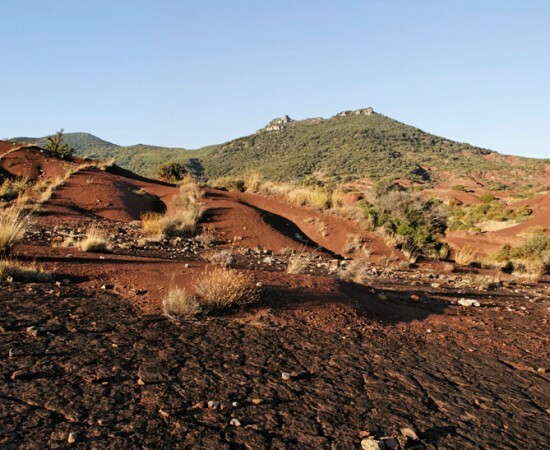 Each terroir stands on its own with its own aromas and structure. Working them as we do ensures we can choose from a huge aromatic pallette when we start blending ; it’s the key to great balance. 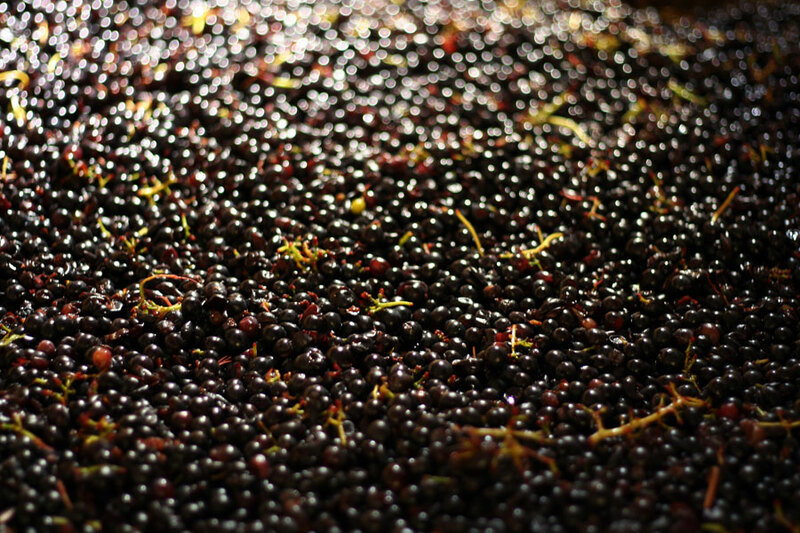 Grapes are sorted and de-stemmed as they arrive at the winery. 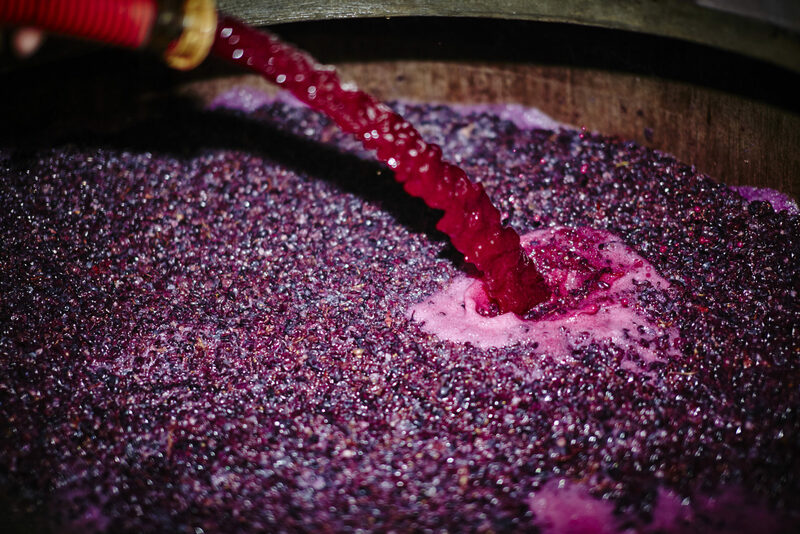 Regular tasting decides the length of temperature controlled maceration – between 10 and 15 days. The winery is equipped with tronconic concrete vats and other small ones made of glass fibre with floating ‘hats’. 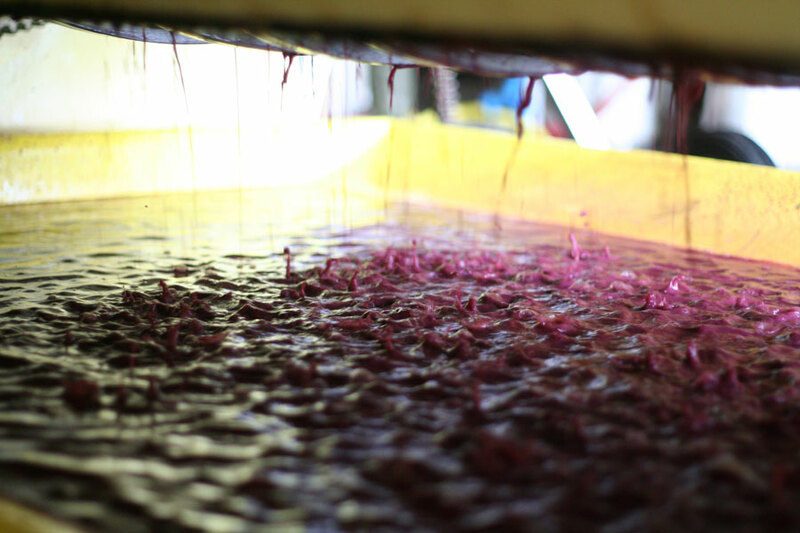 Thanks to the tronconic shape of the concrete vats, the ‘marc’ hat sinks into the juices, resulting in soft and natural extraction, so that fermentation based on the grapes’ natural yeast is very steady. The glass fibre vats mean we can work with very small volumes, maximising our ability to vinify parcel by parcel. Proof : our winery boasts 17 vats for 15 land parcels. 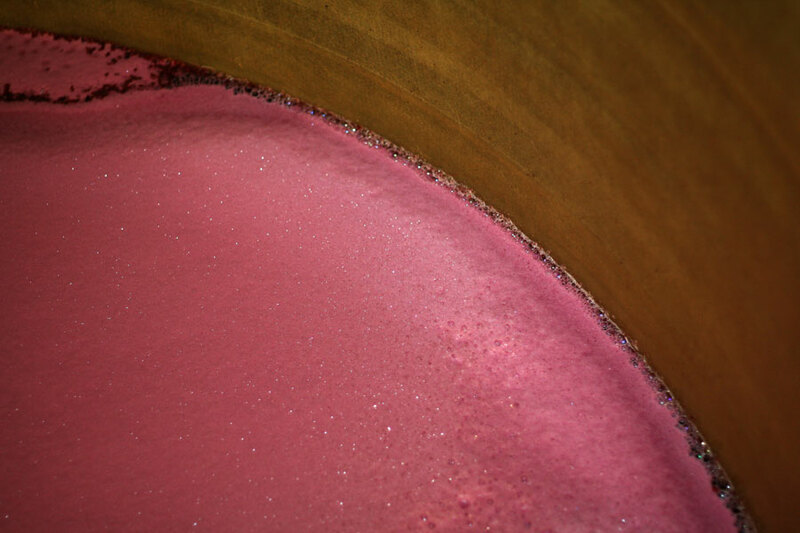 Work in the cave us minimal, with occasional gentle circulation of the lees so ensure the best is extracted. Our aim is to encourage the best of the terroir to come through, combining fruit and freshness, with fine, silky tannins. 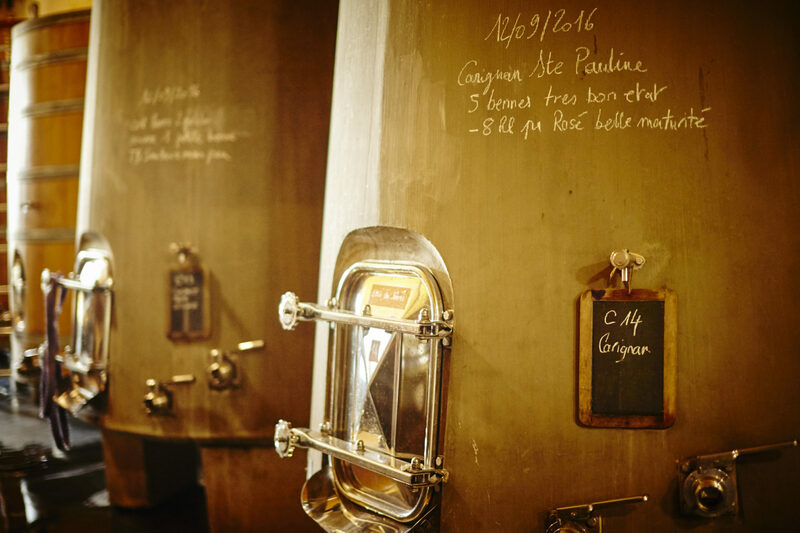 The wines are matured in vats so as to protect the true fruitiness of ourterroirs. We mature our wines in CONCRETE TANK ONLY and bottled them in july. Modern design with clean lines for the winery, whilst our home is traditional – reminiscent of old Languedoc homesteads. We picked on simple, natural material : the Gard Stone. Some 25 million years ago the Rhone valley was submerged by the sea. It gradually fell back leaving behind marine deposits and it is from these that the famous Pierre de Gard was formed, limestone incrusted with sea shells giving it its warm, golden colour. Requires no insulation or coating . Basically formed over millions of years from natural mineral elements, stone contains no harmful or fibrous elements. The energy consumed quarrying and transporting stone are low. No middlemen or need to transform it lowers the energy costs. 1m3 of stone uses 100 times less energy than m3 of concrete. Stone can be re-used or recycled ad infinitum as it has been for many past generations. 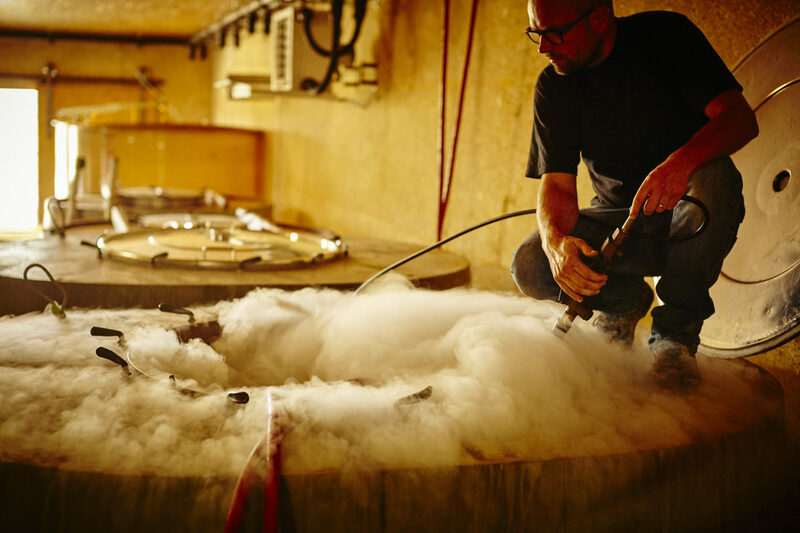 Stone’s thermal qualities mean the temperatures in the winery are always stable maintaining ideal conditions for producing wine. Ideal hygrometry : It’s permeable to water which means it retains the humidity of the surrounding air, minimizing differences between external and internal temperatures. The stone acts as a regulator guaranteeing a healthy environment and avoiding any danger of condensation. It breathes. The natural, untreated stone means the building merges harmoniously into the protected countryside that surrounds us.